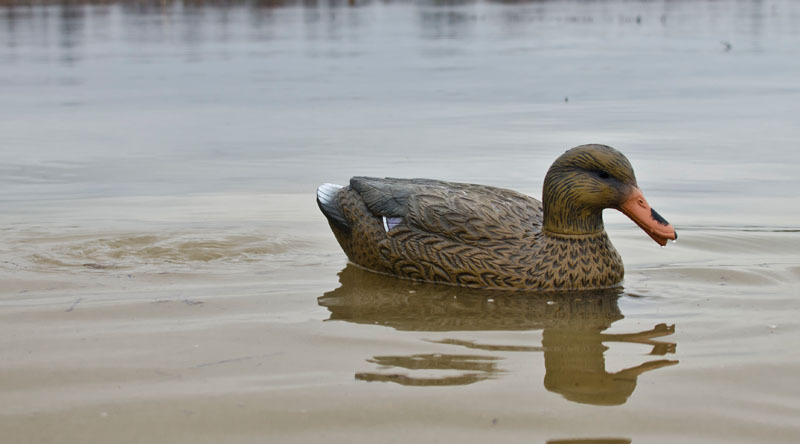 Higdon's Swimmer decoys create the most realistic motion and ripple in your spread possible. The cord and waterproof battery box acts as a cord and weight so simply turn on the unit and drop it in the water! 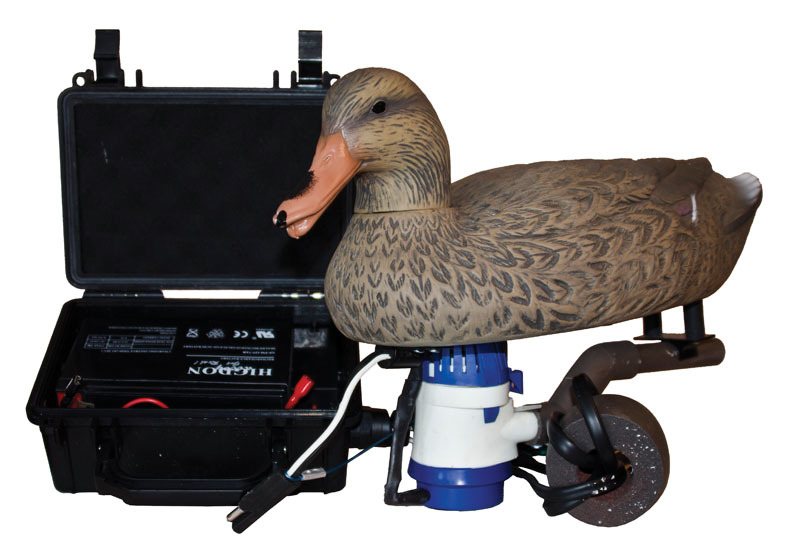 Decoy is powered by the included mini 12v rechargeable power pack and has a built in timer that swims the decoy for 5 seconds and then sits idle for 10 seconds on a continuous cycle. New heavy-duty bilge pump is almost indestructible. 12-volt battery runtime: 7-10 hours.